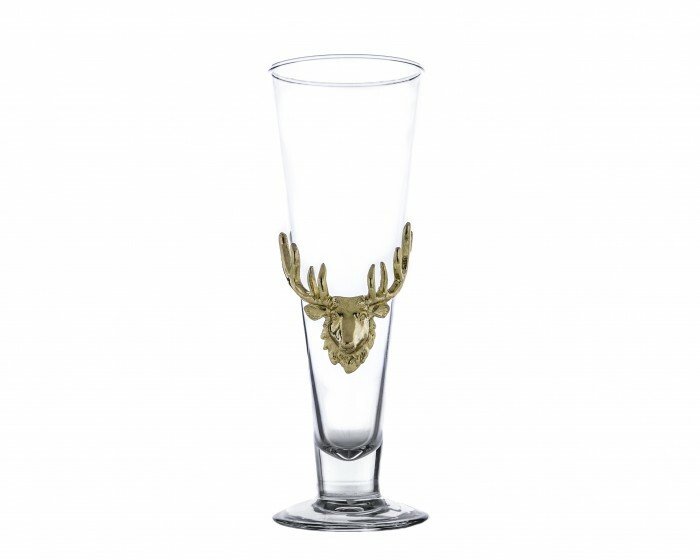 Have your guests glowing over this crest of gold in Arthur Court's 24k Gold Plated Antler Pilsner. The glass grows wider from its base and opens into an easy-to-drink pilsner. Finely detailed and expertly crafted, this glass is the perfect gift for any outdoorsmen. Size: Diameter: 3.0" / Height: 9.25"